The bullish run of the nation’s stock market was halted on Thursday as sell-offs resumed after gains were recorded on Tuesday and Wednesday. The market capitalisation of equities listed on the Nigerian Stock Exchange depreciated by N121bn on Thursday to close at N11.251tn from the N11.372tn recorded on Wednesday. Sell-offs in the banking and industrial sector dragged the All Share Index 1.07 per cent lower to settle at 30,819.10 basis points as the year-to-date loss worsened to -19.4 per cent. Investor sentiment weakened as market breadth depreciated to 0.8x from 1.1x recorded on Wednesday. Seventeen gainers emerged against 22 losers at the end of trading on Thursday. Performance across sectors was largely bearish as three of five indices closed in the red. The industrial goods index closed as the worst performing index in Thursday’s session as losses in Dangote Cement Plc drove the index lower by 1.61 per cent. The banking index was the second worst performing index, losing 0.81 per cent due to losses in Access Bank Plc and Zenith Bank Plc. The consumer goods index trailed, shedding 0.27 per cent on the back of sell pressures in Vitafoam Nigeria Plc and Unilever Nigeria Plc. On the flip side, the oil and gas index gained the most with a 0.52 per cent increase on the back of price appreciation in Oando Plc. The insurance indices gained 0.25 per cent as Mutual Benefits Assurance Plc and AIICO Insurance Plc recorded price appreciations. 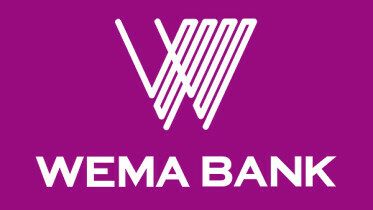 Activity level, however, strengthened as volume and value traded rose by 41.4 per cent and 7.8 per cent, respectively, to close at 280.939 million units and N2.490bn, respectively. The top traded stocks by volume were FBN Holdings Plc (92.5 million units), Diamond Bank Plc (68.2 million units) and Ikeja Hotel Plc (34.4 million units), while the top traded stocks by value were FBN Holdings Plc (N707.3m), Guaranty Trust Bank Plc (N507.8m), and Nigerian Breweries Plc (N319.0m). The top five gainers were Champion Breweries Plc, Mutual Benefits, Diamond Bank, Honeywell Flour Mill Plc and Cutix Plc, which saw their respective share prices appreciate by 9.66 per cent, 9.52 per cent, 9.41 per cent, 8.49 per cent and 8.24 per cent. The top five losers were Niger Insurance Plc, AG Leventis Nigeria Plc, LASACO Assurance Plc, UACN Property Development Company Plc and Regency Assurance Plc, whose share prices depreciated by 9.09 per cent, 6.90 per cent, 6.90 per cent, 5.73 per cent and 4.76 per cent, respectively. 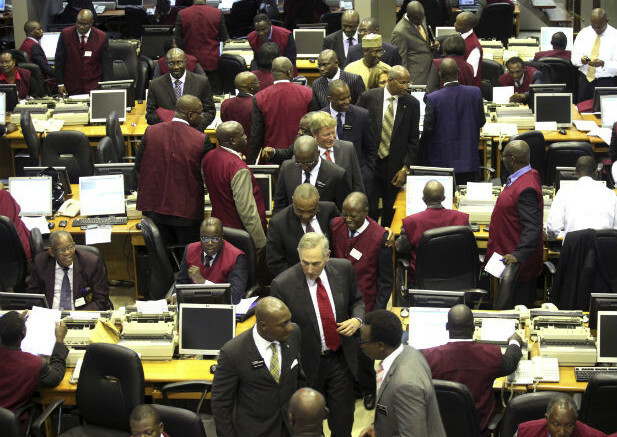 Analysts at Afrinvest Securities Limited said sell-offs in Dangote Cement, Zenith Bank and GTB drove the ASI lower. Be the first to comment on "Stock Market Reverses Gains as Sell-offs Resume"